A couple of weeks ago, I was doing some research for my upcoming cookbook when I came across a blurb about Meyer Lansky, a Jewish gangster otherwise known as the “Mob’s Accountant.” I’ve never been very interested in mafia history, and yet this passage stuck with me. Apparently Lansky was a regular patron of Ratner’s, a Jewish dairy restaurant in New York City. 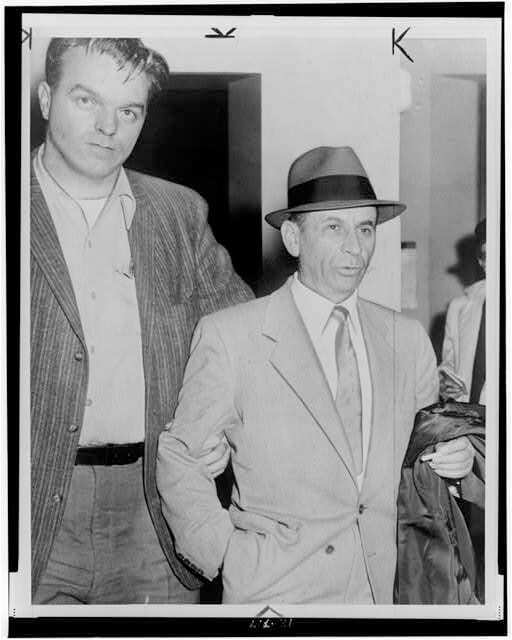 Lansky, along with fellow mobsters Charlie “Lucky” Luciano and Bugsy Siegel, were known to frequent the restaurant. Their favorite menu item? Cheese blintzes. Like many well-known personalities of the past, these mobsters saw Ratner’s as more than just a restaurant. It was a place to hang out, chat, and do business, all while enjoying a dose of Jewish comfort food. Though it’s been closed since 2002, mention the word Ratner’s today and faces continue to light up with recognition. How did a little New York kosher dairy restaurant gain such notoriety, in the mob and beyond? Jacob Harmatz and Morris Ratner, two brothers-in-law, opened Ratner’s Restaurant on the Lower East Side of Manhattan in 1905. As Katz’s Deli became increasingly famous for their tender, juicy pastrami and corned beef, the pair saw a need for a dairy restaurant where vegetarian, cheese, and fish dishes could take center stage. Ratner won naming rights to the Pitt Street restaurant when he defeated Harmatz in a coin toss. The restaurant became well known for its kosher meatless menu, including such Jewish delights as onion rolls, borscht, vegetarian chopped liver, latkes, and a variety of sweet and savory blintzes. Ratner left the partnership and sold his half of the business to Harmatz in 1918, but the restaurant continued to bear his name. That same year, the more well known Delancey Street location opened. In its heyday, Ratner’s served Sunday brunch to about 1,200 people each week. Patrons included such luminaries as Al Jolson, Fanny Brice, Jackie Mason, Elia Kazan, Walter Matthau, Groucho Marx, Robert Kennedy, Nelson Rockefeller… and even the occasional mafia member. Before Meyer Lansky became the “Mob’s Accountant” and a regular patron of Ratner’s, he was Meyer Suchowljansky, born on July 4, 1902 in Gradno, Poland. The Suchowljansky family was well respected in Gradno, though they weren’t immune to the anti-Semitic feelings of the time. Gradno was considered somewhat safe for Jews until the end of the 19th century, when the Russian Tzar legalized persecution of the Jews living there. At that time, Jewish citizens had three choices – they could stay and endure the oppressive conditions of their home country, emigrate to the Jewish holy land, or make their way to America and start fresh. Meyer’s grandfather Benjamin chose Jerusalem, while Meyer’s father, Max, chose America. In 1909, Max set off for America alone, hoping to send for his family in Poland soon after. At the tender age of 7, Meyer was forced to become the “man of the house.” By 1911, Max had earned enough to bring his family over to America through the port of Odessa. Meyer traveled overseas with his mother and brother on an overcrowded, rickety tramp steamer. Upon their arrival in America, they settled in a predominantly Jewish neighborhood, Brownsville. Max changed their last name to his wife’s more pronounceable family name, Lansky, presumably to help them fit in better. Max worked hard to support his family, but when times got tough, the Lanskys were forced to move to the Lower East Side tenement district. Meyer became accustomed to a new life without an emphasis on his Jewish faith. Without his grandfather Benjamin around, the family began to lose touch with some of their religious traditions. Instead, Meyer was encouraged to focus on his studies at public school, where he discovered his aptitude for mathematics. This talent would become crucial to his career later in life. Meyer remained close to his family. One of his main responsibilities was to deliver the cholent for the Shabbat midday meal. He would walk the stew over to a bakery on Delancey street after school on Fridays. For a nickel, the bakery would cook the cholent overnight and have it ready to be picked up the next day. Accomplishing this task for his family was a great source of pride for Meyer. It was on one of his many cholent deliveries that Meyer was introduced to street gambling. He was immediately drawn to the activity because it involved numbers. Soon he was betting his cholent nickels on street crap games. It was here that he began to meet the unsavory characters that would help to shape his career path. 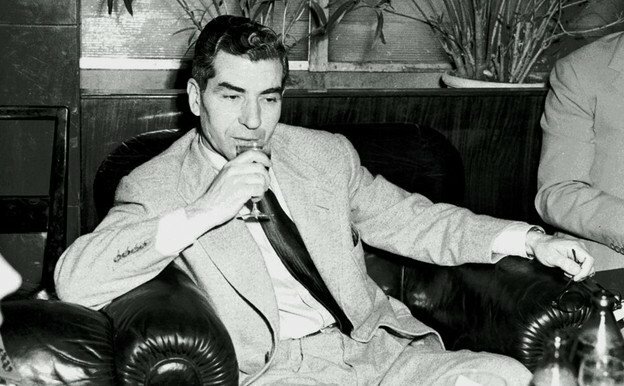 Charles “Lucky” Luciano at the Excelsior Hotel, Rome – June 11, 1948. Wikimedia Commons. Violence was growing in Meyer’s neighborhood, and organized crime was on the rise. As a teen, he befriended Benjamin “Bugsy” Siegel. Around the same time he also met Charles “Lucky” Luciano, who made money offering protection to Jewish youth from Irish and Italian gangs. Meyer, Bugsy and Lucky became lifelong partners in friendship and crime. 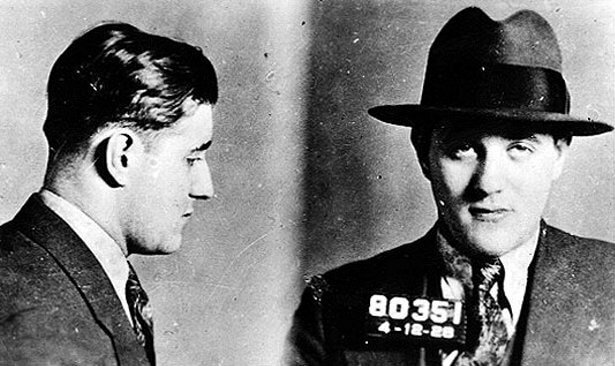 Lucky eventually rose to lead the New York Italian mafia, with Meyer and Bugsy by his side. It was Meyer, Bugsy and Lucky who were often seen together at Ratner’s, noshing on kosher food and quietly discussing their “business.” In a 1997 interview with the NY Daily News, Abraham Reistein, former manager of Ratner’s, reminisced: “we didn’t approach, unless asked,” he remarked, noting that Lansky often ordered “baked whitefish” in addition to cheese blintzes. According to Reistein, if one of Meyer’s bodyguards would show up with blood on his clothes, a waiter would help to burn the evidence in the incinerator. Ratner’s was Lansky’s second home, and people there liked him… so much so that the back room of the restaurant was turned into “Lansky’s Lounge” for a short period of time. 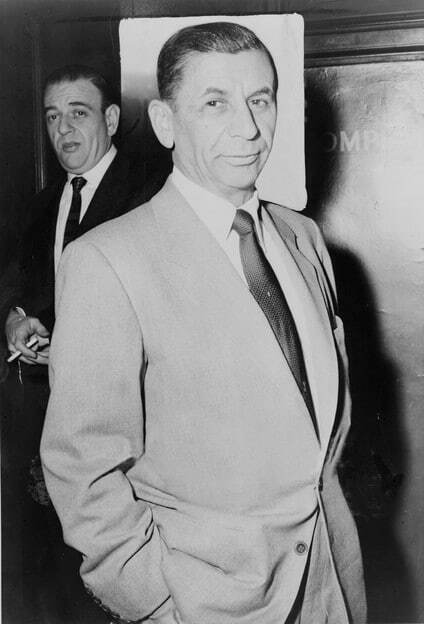 With his pal Bugsy, Lansky would go on with to become the father of modern day casinos, gaining a reputation as one of the most powerful men in the country. All of this, fueled by Ratner’s blintzes. I couldn’t help but be curious… what did these famous cheese blintzes taste like? In a section called “Dairy Dishes,” the very first recipe that appears is… you guessed it… cheese blintzes! You know I had to try them, so we can find out firsthand why Meyer, Lucky and Bugsy loved these fried, cheesy delights. I tested the recipe a few times, and had to tweak the cooking process slightly to make it more foolproof. 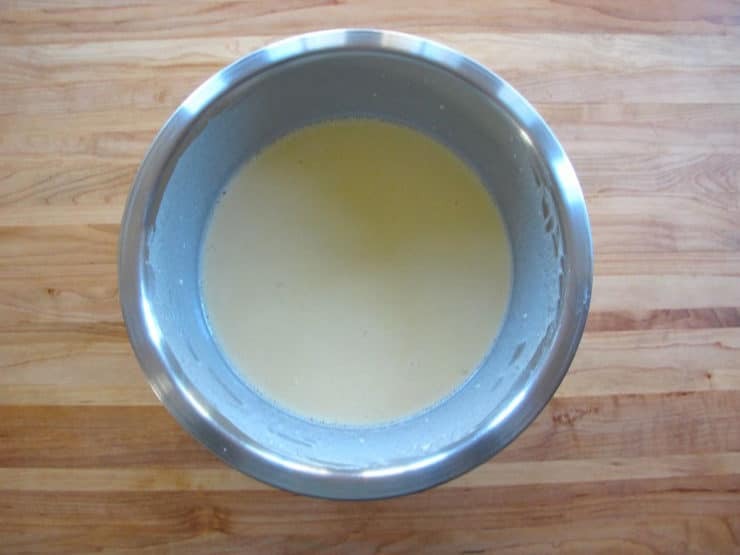 The Ratner’s blintz batter can be somewhat finicky, especially for those who aren’t familiar with the process. 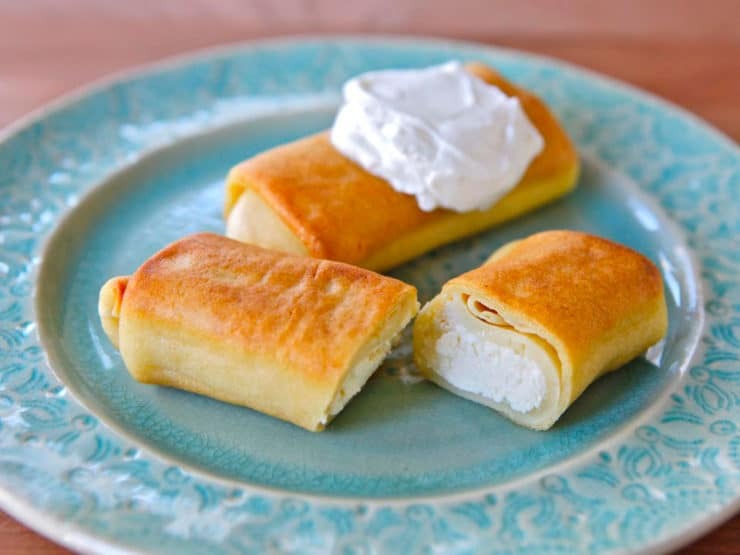 If this is your first time making blintzes, you may want to start with my Cheese Blintzes recipe instead of this one– it’s a little more forgiving and easier to work with. Or you can make the blintzes exactly as written here. The detailed instructions and step-by-step photos should keep you on track. The Ratner’s cookbook recipe calls for frying the blintzes in clarified butter. To learn how to make clarified butter, click here. I tripled the amount of butter required for frying the blintzes, because in my large skillet the original amount only browned the top and bottom of the blintzes, not the sides. If you’re using a standard-sized skillet, 1 cup should be enough– you want the butter deep enough to brown the blintzes evenly. If you’re worried about the extra calories, these blintzes will cook just as well in grapeseed oil or another oil with a high smoke point. Vegetable-based oils will be less prone to splattering, but the clarified butter gives a nice flavor. For each blintz, I used 3 tablespoons of blintz batter rather than the 2 called for in the cookbook. Otherwise, this recipe is as it appears in the book, along with my own tips and tricks to help you along the way. Do you have memories of Ratner’s Restaurant? Share them in the comments below! In a mixing bowl, sift together flour and salt. In another mixing bowl, whisk together the eggs and water till thoroughly blended. Beat the dry ingredients into the wet, whisking thoroughly till the batter is completely smooth with no lumps. Grease a small nonstick skillet and heat between medium and high. The skillet is ready when a drop of water sizzles on the surface. If the water pops or jumps out of the pan, the skillet it too hot—let it cool slightly before starting. If the water sizzles, it’s at the perfect temperature. 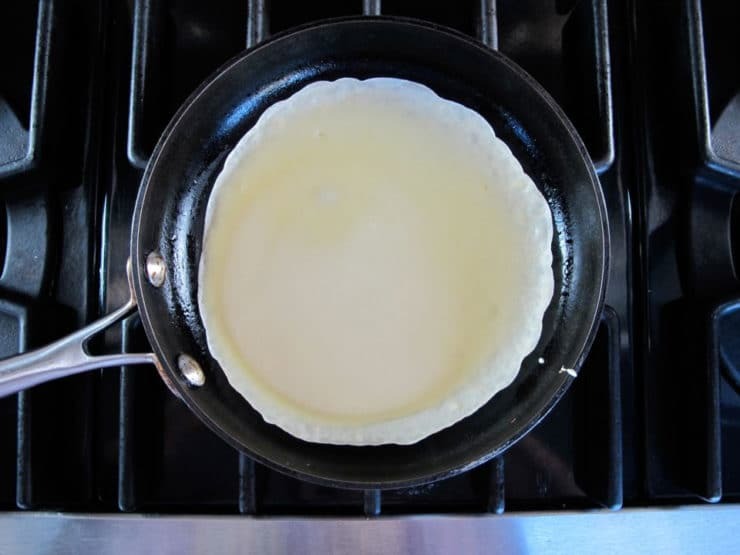 For each blintz, pour roughly 3 tbsp of batter into the skillet, then quickly tilt the pan in a circular motion till the batter coats the entire bottom of the skillet, making a very thin, crepe-like pancake. The batter needs to be added all at once, otherwise it will cook before you've had a chance to swirl it. I measure it out by using a 1/4 cup measuring cup and filling it 3/4 full. It may take you a few tries to get the hang of the process-- proceed with patience! Let each blintz cook for 75-90 seconds until the bottom of the blintz is very lightly golden. You can tell it's ready by touching the center of the pancake's surface-- it should be completely dry to the touch. 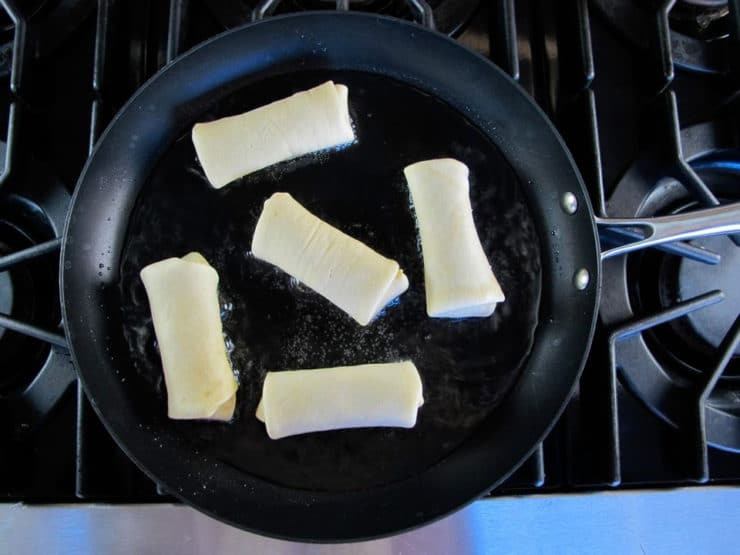 Do not flip the blintz to cook the other side, and do not let the edges get too brown or dry. Use a spatula to take the blintz out of the pan and place it on a plate. 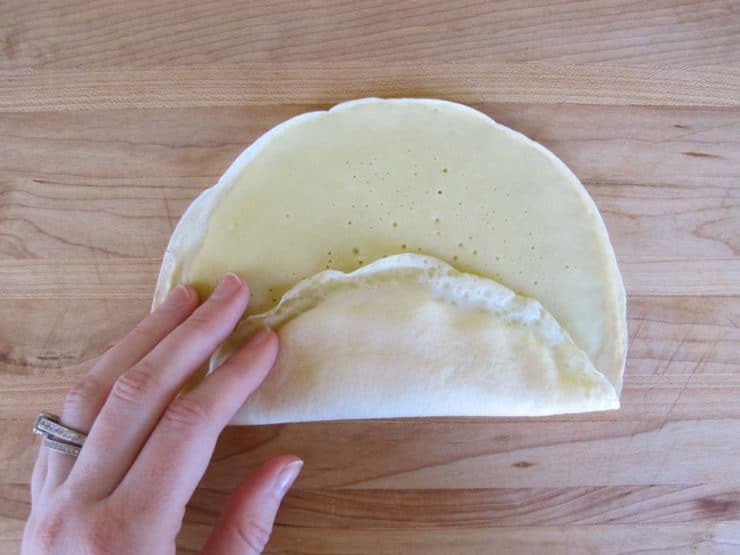 When all of the blintzes are cooked, let them cool while you create your filling. Rinse and dry one of the mixing bowls. 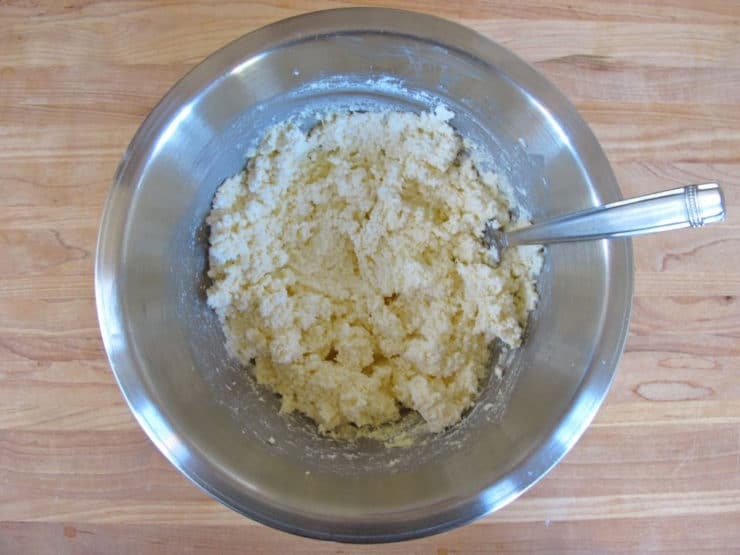 Combine the farmer's cheese, egg yolks, sugar and vanilla in the mixing bowl, then use a fork to mix ingredients well. Note: Farmer's cheese (also known as pot cheese), while once popular, can be difficult to track down nowadays. It is primarily sold in kosher markets, and has a consistency somewhere between queso panela and ricotta cheese. 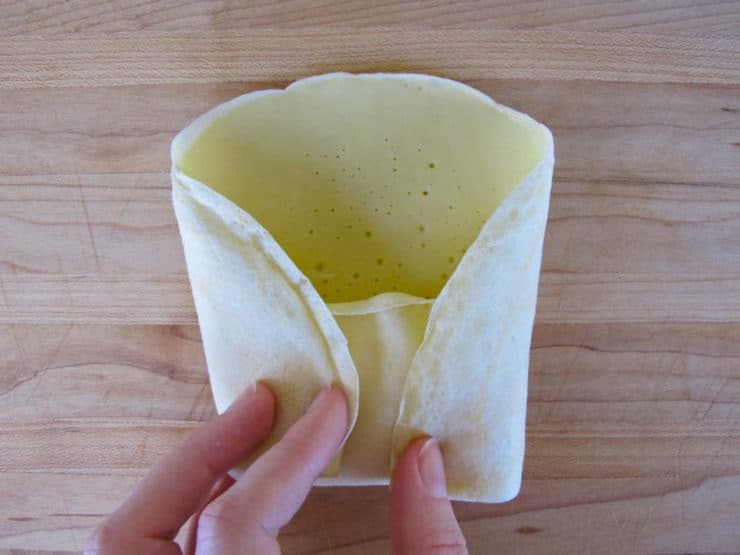 If you don't have access to farmer's cheese, try using my alternate cheese blintz filling recipe on TheShiksa.com... or use an equivalent amount of ricotta cheese that has been very well drained, using cheese cloth to squeeze and remove as much liquid as possible. Now you’re going to stuff and wrap up your blintzes! 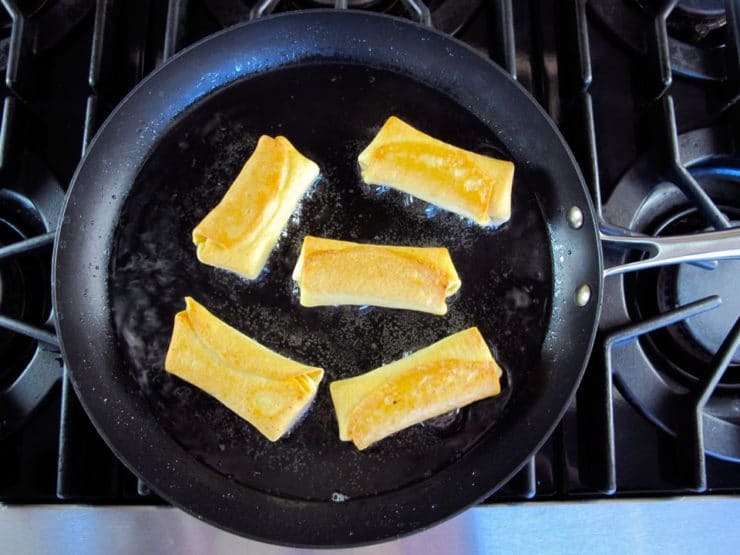 Place a blintz with the lightly golden side facing down, the less cooked side facing upward. Put 2 tbsp of filling on the lower part of the blintz, about an inch from the edge. 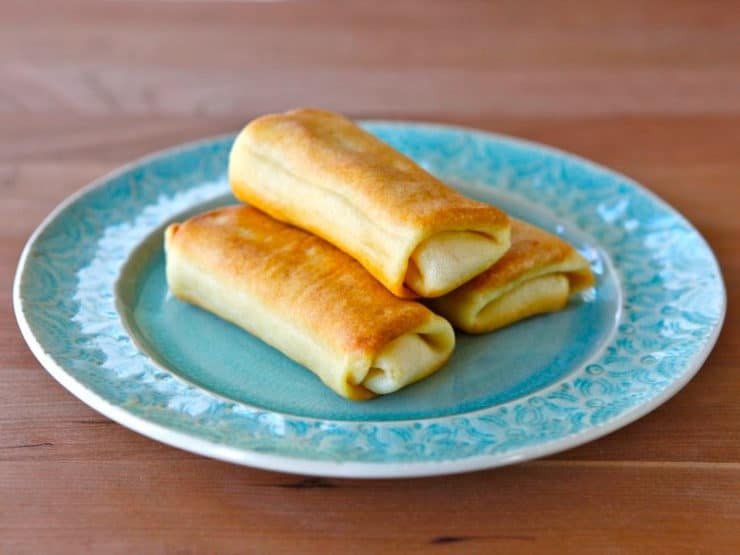 When the blintzes are stuffed and rolled, you are ready to fry them. Pour 1 cup of clarified butter or grapeseed oil into a larger nonstick skillet (12 inches) and heat over medium until hot. Do not let the butter or oil turn brown or start smoking. Cook the blintzes in batches of 4 or 5--this will give you space to turn them easily in the pan. Carefully place the stuffed blintzes flap-side down into the hot oil. 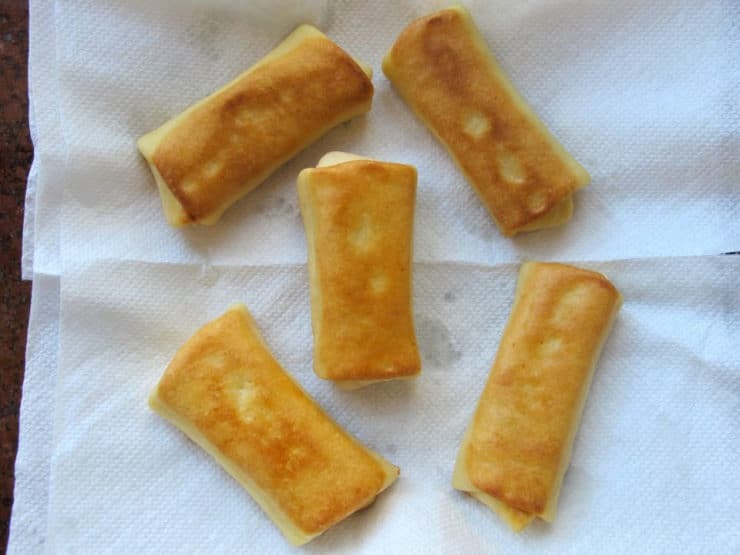 The blintzes should fry for 1 ½ to 2 minutes until the bottom of each blintz is golden brown and crispy. Let the fried blintzes drain on a layer of paper towels. Serve blintzes warm. They can be served as-is or topped with fruit topping, sour cream, applesauce, whipped cream or maple syrup. Apparently Meyer Lansky liked his topped with sour cream. Gethers, Judith and Lefft, Elizabeth (1975). 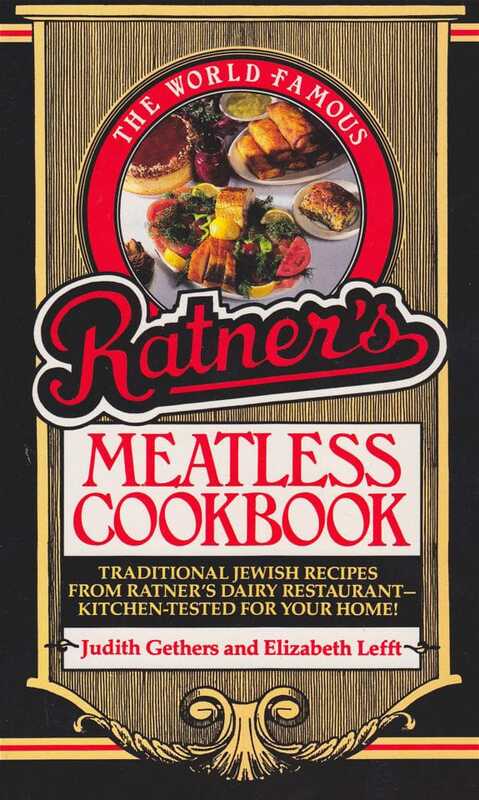 Ratner’s Meatless Cookbook. Ballantine Books, Random House, New York, NY. LowerManhattan.info: Ratner’s Closes, for the Last Time. December 16, 2004. McAlary, Mike (1997). “Old Mobster’s Lounge Act Meyer Lansky Still Able to Make Money.” New York Daily News, February 28. Mendelsohn, Joyce (2009). The Lower East Side Remembered and Revisited: A History and Guide to a Legendary New York Neighborhood. Columbia University Press, US. Montague, Art (2005). Meyer Lansky: The Shadowy Exploits of New York’s Master Manipulator. Heritage House Publishing Co. Ltd. US. Hi tori!! Not a bad recipe…!!! The only thing I’d vary a bit is the thickness of the crepe batter.. since it is rolled, perhaps a little thinner. I adjusted it and came out great. Brought back memories of that area… Ratner’s was always buzzing and you’d always run into friends there. A warm atmosphere.. and not far from gus’ pickles. I’ve been making cheese blintzes for 60 years. I use farmer’s cheese that I make at home. It’s easy. Just heat a half gallon of whole milk (not ultra pasteurized) to 185 deg F and add ¼ cup white vinegar and stir. Cover pot and wait 10 minutes. The milk protein will coagulate as curds. Strain the curds and this is farmer’s cheese. You can use the whey (the liquid left in the pot) in baking. This cheese is dryer than ricotta and doesn’t need to be drained. You get about 1 ½ cups of cheese from a ½ gallon of milk. 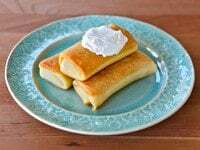 I have never made blintzes, though I know I can make them in my sleep having watched my mother make them countless times, as I would help her when I was growing up. I finally had the hankering to make them, and wanted to get the right recipe. But all the recipes I looked at were not what my mother made, that is, until I stumbled upon the real recipe here. Then I remembered when I was in Rhode Iland last year visiting my 97 year old god mother that I had photographed all of her recipes she had hidden away on 3×5 cards. When I went back to see if she had a recipe for blintzes, sure enough she had it, and it was nearly exact to this recipe. It’s funny how you can remember certain things when you were just a child. All the recipes I have been looking at show cooking the crepes on both sides, but I distinctly remember my mother cooking them on one side only, and using the farmers cheese. Also, thank you for the story of Myer Lansky and his love of blintzes, and Ratner’s. Teaching my 16 year old to make blintzes for break the fast. The step by step photos are helping us. They look great, however, I would double the cheese part as our recipe made more of the “Bletlach- crepe” than we had filling. However, we had a wonderful dessert of nutella crepes. What wonderful memories. My dad, Bill Deutsch aka “major” was one of Meyers partners and dearest friends, finally decided at fifteen I could be trusted to eat and keep my mouth shut! We then walk over to Katz,s for chopped liver, corned beef and pastrami.Uncle Meyer would always give me fifty dollars and Uncle Bennie, when he was ther gave me one hundred but the real score war Uncle Charlie who peeked off quite a few hundreds. I used to love those Sunday’s. I am 75! Now but I will never forget my dad telling them it’s too much for a kid and the “uncles” saying he’s a great kid. Thanks for making me feel young again. This made me smile Jerry! Great memories. As a child in the late sixties and early seventies, my father, Jacob Vaknin, would take me to Ratners. He was a waiter there from 1966 until 1974, when one of his customers from New Jersey who had just moved south suggested he visit Atlanta. Three months later we moved and those visits are now treasured memories. My father was one of the few young waiters from Israel having learned his skills on the transatlantic liner Shalom. I remember well the cheesecake my father would bring home. To this day I love real new york cheesecake. The best cheesecake I have found in Albany Georgia where I live is at the Publix bakery. My father still tells his stories of mafia boss Joe Colombo being his customer at Ratners just before being gunned down at a Columbus day parade and stories of celebrities he met. He still has their autographs on the back of photographs of mine he used to carry in his wallet. He went back to visit in the 90’s a couple times before they closed. Although he left Ratners in 1974, he had customers asking for him for several years after he left. I was very sad to hear they had closed back in 2004. I was searching for instructions on soaking dry chickpeas when I came upon your blog and now it is bookmarked for further investigation. I lived in New York throughout the 80’s, in the Lower Eastside and Katz’s and Ratners were two of my favourite restaurants. I even managed to pick up the Ratners Cookbook before they closed down over ten years ago. As a young starving artist (historically Jewish btw) I often went to Ratners for a filling and inexpensive meal. I particularly loved the mushroom varnishkes and the cold borsht soup with sour cream. 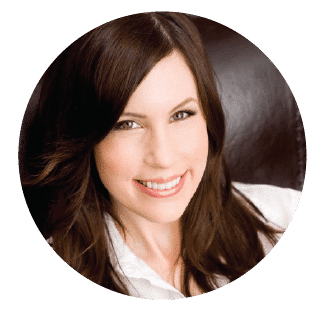 I plan to try the quinoa risotto soon and to visit your site for more great tips and stories. Great job. I have been told not just once but several times that I am Meyer Lanskys granddaughter. For many years I have been trying to find out the truth. I was orphaned at 16 by my mothers suicide. I have pictures of my father,Lucky and bugs hugging in my fathers supper club in NYC. I do know my grandmother also was from Grado Poland. I do not talk to any relatives anymore after the suicide and they refuse to give me information. I enjoyed your research and article VERY much. Growing up in Brooklyn, NY. My mother would feed me Blintzes before I went to school for lunch. Now living in Centeral Texas, I find it very hard to get what I grew up on, so when I saw this receipt I had to make my own. It was delicious, and they freeze very well. Thank you again for great food, and memories. There are no kosher markets in the San Gabriel Valley, which is directly east of Los Angeles. There are lots and lots of hispanic, and asian markets, because those are the dominant ethnic groups out here. The San Fernando Valley is a 30 mile schlep each way; driving into Los Angeles is not something I want to do. I’ll use fresh whole milk ricotta from the Gioia Cheese Company, located in South El Monte. Wow. Super post Tori. Haven’t seen Farmer’s cheese in decades. Lots of memories here. Your blintzes look absolutely perfect. Hi! Just a follow up on this recipe. I made Farmers cheese using 1/2 gallon of milk almost to boiling point and added 1/4 cup lemon juice. Waited 10 minutes and strained through a cheesecloth (I actually used a coffee filter, as I had no cheesecloth on hand). The actual blintzes were just delightful! I fried them in lots of margarine and topped with sour cream and a fresh home made berry sauce!! I will definitely make again!! If you live on the east coast, I am able to get Friendship brand farmers cheese at Wegman’s Market. I used it this weekend to make pierogi! I can’t find the recipe a male made with a bunch of whole chickens. Can you email it to me. He used fresh herbs. Wow what a memory flash for me. Every year the week after our return from the Catskills and before Rosh Hashanah we would take a trip to the Lower East Side to buy gatkas (thermal underwear), socks and unterwesche for the ones we kids had outgrown over the summer in cash with no sales tax, go to Ratners for blintzes and to the PickleMan for pickles. Now the old sweatshops are million dollar condos and it’s called NoHo….Oh and the blintzes at the Concord Hotel in the Catskills — they were divine too!! thanks for memories!! I’ve just made the hungarian (and also diet) version of blintzes , it’s really yummie. I made with “túró” which is similar to cottage cheese and used oat flour instead of all purpose flour. Though it was not as nice as yours on the pictures, everybody loved it 🙂 Thanks for the recipe and greetings from Hungary! My favorite dish at Ratner’s was their mushroom-barley soup. I believe the recipe is in the paperback book (mine has a different cover as well). Years ago when my wife passed away and I had to cook for myself, this was about the only meal I could make properly. Like the blintzes recipe, it also needs clarified butter. The secret, however, is baking the onions in that butter before adding to the soup. I heartily recommend you try it if indeed the recipe is in your copy of the Ratner cookbook. Great work as always. The way you document each step with photos is exemplary. Your blintz recipe and method brought back memories of my late mom making them for us on “milchik night” (Tuesdays, by family tradition). I do miss Ratner’s, especially those onion rolls! 🙁 I think I would have wanted this recipe book! I am looking for another recipe for veggie cabbage rolls and also some really good potato knish dough. Used to love Ratners vegetable soup. Really miss the waiters with their disagreeable atitudes! Ratnor’s cookbook is available at Amazon. Thanks for bringing back great memories. When I was in college we drove from Maryland to NY one day just to get some Ratner’s soup, blintzas, and onion rolls. Those were the days when gas was cheap! Thanks for the memories. My mother would make small bite-size cheese and potato blintzes and they would only last 10 minutes. Have the cookbook with a different cover that says Special Premium Edition. Used to go to Ratner’s when visiting NY. I’ve made the blintz filling for forty years, but cheat with an electric crepe pan for the wrap. Sour cream is the only way to go. Enjoy your blog. OH ! the memories! When i was living back East we always had Friendship Famers’ Cheese on hand. In Berkeley, I used to get baker’s cheese and mix them. I live in the country now, will try your special mix. Also, when I make the batter I let it rest in the fridge for a while so the flour can absorb the liquid and be even smoother. HAve you tried that? Do you know where I can get a copy of that cookbook? A good corned beef was asked about. Those of us lucky enough to be living in LA have arguably the best corned beef, the best pastrami, and the best rye bread. We have Langer’s. I love your blog and always look forward to what your going to do next. I converted in 1997 and haven’t looked back. I love Judaism and all it offers. My son had his bar mitzvah last month and both sides of our family are so proud! Could you suggest some different/regional haroset? You are the perfect person to tackle this. Bannana’s and dates? If you ever need an assistant or someone to test before publishing, email me!!!!! Alana, farm cheese in israel is ‘toov taam’ cheese. It’s that dry cottage cheese. Can the finished blintz’s be frozen? I too would like to know if they can be frozen. Yes, blintzes can be frozen. 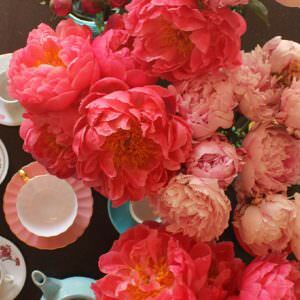 Just separate them with parchment paper if you want to cook them individually or freeze in an ovenproof dish if you want to bake them. I still try to get farmers cheese when possible. My recipe is very similar. I don’t make clarified butter. Trader Joe’s had some decent frozen blintzes if you don’t have time to make your own. 1. 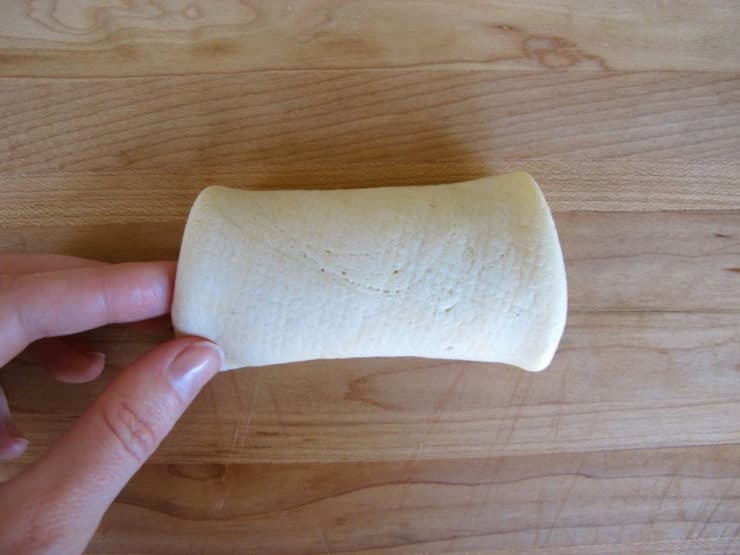 Cheese blintzes freeze beautifully. 2. I grew up in southern California, My mother used a mixture of farmer cheese and something called hoop cheese. Does anyone know whether hoop cheese is another name for pot cheese? My internet search gave me something different altogether. 3. 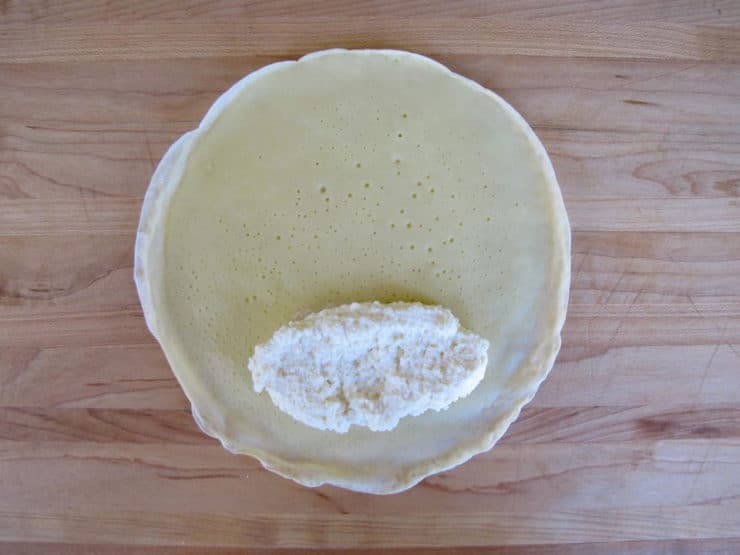 Tip: Instead of putting just-made blintzes on plates, lay inexpensive, soft, 100% cotton flour cloths (still sold at cooking ware stores) on your counter, cutting board or kitchen table. Lay each blintze on this cloth, which is lint-free and highly absorbent. 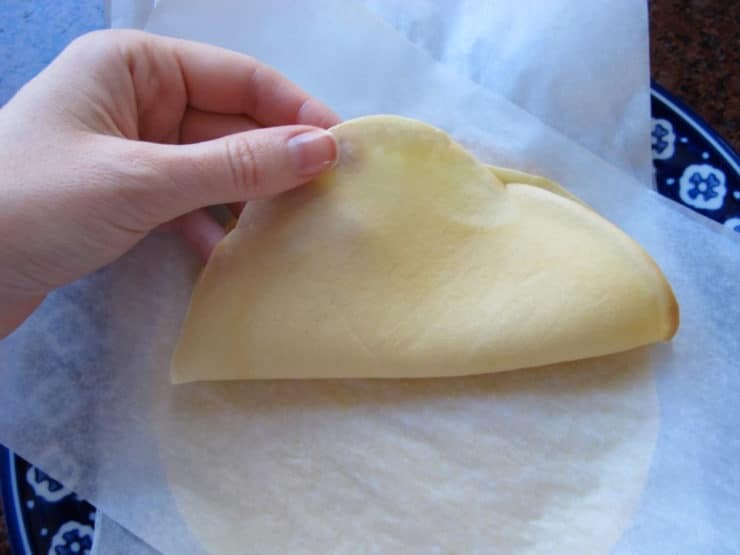 The flour cloths quickly absorb excess veget oil or butter and will also let the blintzes breathe. Blintz/crepes should be both very light, non-greasy and still hold together. 4. I’ve tried different brands of frozen blintzes over the years and have yet to find one that pleases my taste: the frozen crepes are usually heavy, the filling is usually a bit runny, lacks the flavor of traditional fresh cheeses and strike me as skimpy. 5. I recently saw farmer cheese for sale in the deli section of Canter’s deli on Fairfax Ave in the city. So, unless you keep kosher, Canter’s is another resource. 6. I hope one of you can help me with the hoop cheese/pot cheese mystery. I am one of the “cooks in the kitchen” at the small synagogue I belong to. My next cooking date, for the Saturday Kiddush is February 9th. I’m going to give these a try. Since, I live in the San Gabriel Valley, and finding pot cheese is not an option, I’m going to use the ricotta mix. Thanks so much for posting this. 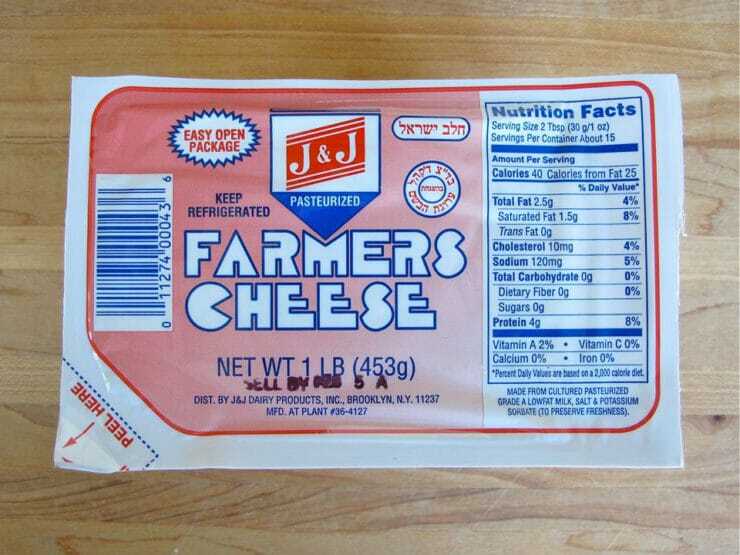 any kosher market in the valley or city should have farmer cheese. Thanks for a trip down memory lane. This reminds of my Russian Jewish papa!! One of his favorites and of course with sour cream for him! Jam for me all the way. Thank you for sharing !! These are so easy to make and as good as it gets! I used your alternate recipe for the filling, since I can’t get Farmer cheese here (I remember my mother eating Farmer cheese on matzoh for breakfast). Thank you so much for the trip down memory lane! Now I miss my old stomping grounds, oh a blintz! I think I survived on blintzes as a child. It’s been too long. I so miss Ratners! As a native NYer, that was my a family favorite to visit. 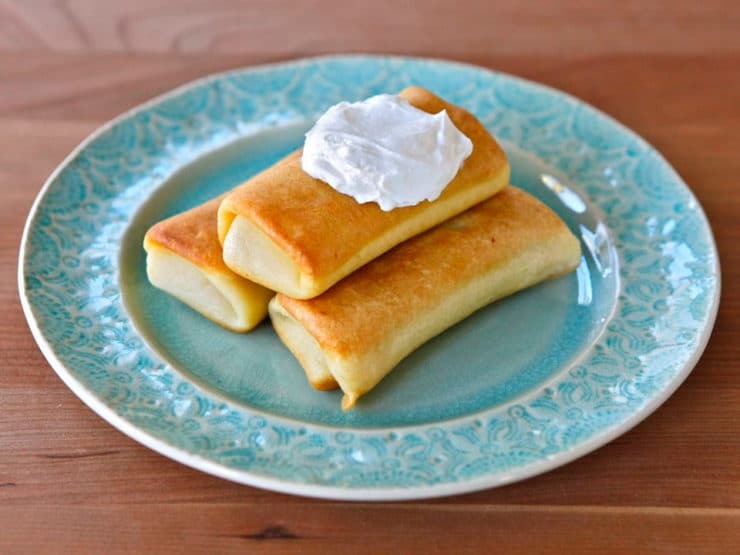 I looooove the blintz and can’t wait to try the recipe! Thanks for posting it! Thanks for another fascinating post and delicious looking recipe. What wonderfully delicious memories you’ve brought back for me. I’m swooning just thinking about Ratner’s cheese blintzes (with sour cream of course) and onion rolls! I have to admit though, that what stands out most in my mind when I remember going to Ratner’s as a child was how much the hands of the oh so ancient waiters used to shake, and how sure I was that they were going to spill the soup and coffee all over me, but somehow they always managed to get it just right, shakes and all. Ratner’s wasn’t just a restaurant, it was an institution. will continue to be a favorite with many people. Thanks! Thank you Audrey Leshner for reminding me of the word “bletlach”! Meyer Lansky was right-sour cream is the best. This recipe looks delicious!! Fascinating. I like mob history and love the recipe. Very cool recipe, and history! These look awesome! These look amazing…so cheesy and delicious. Love! I used to have a paperback Ratner’s Cookbook. The cover looked different. I lost it in one move or another. My favorite recipe was the onion rolls with the oil, poppy seed, and onion filling. Thank you so much for this recipe!!! We moved from NY a few months ago to below the Mason Dixon Line. We used to buy our blintzes in Fairway Market, but alas there is no Fairway here. 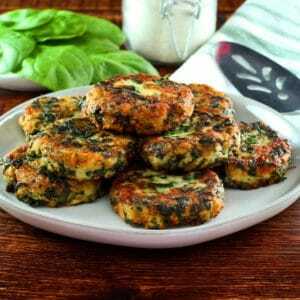 This recipe will deliciously solve that problem! I can’t wait to make them for lunch! I usually have my blintzes with a Greek 0% yogurt with fruit, while my husband, continuing the tradition of his Russian- Jewish grandparents, must have sour cream. Now to find a good, mile high, corned beef on rye. So tough to find great corned beef outside of New York! The best corned beef above a mile high is at my house! Thanks for reminding me I need to make some soon. I love sharing these recipes with people in Colorado. Thank you for this recipe so I can continue the tradition with breakfast. I must give credit for developing my love for these foods to my family, and the Delis of Miami Beach.